Where can I get my license keys? Where do I enter my license keys? How do I update my extension once I have the license key in the right place? How to manually activate / deactivate URLs for a license? Can I renew my license if it expires, or do I have to get a new one? If I choose not to use the automatic updates system may I update my extensions manually? 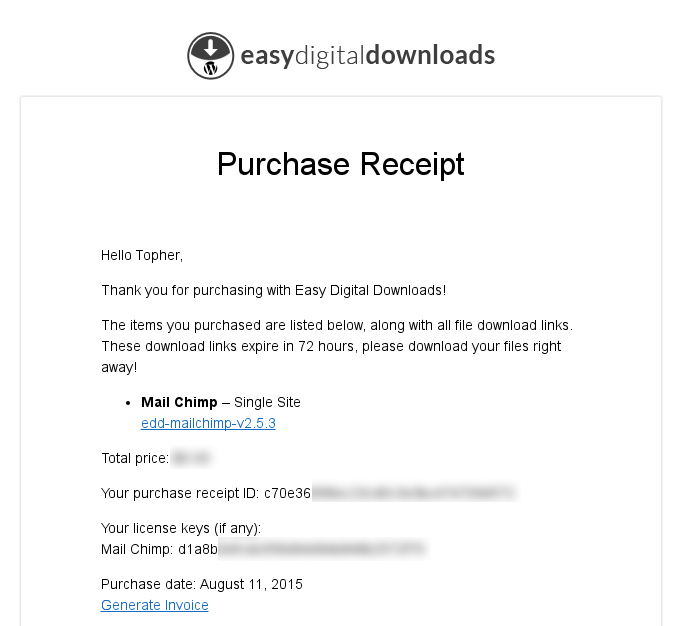 There are two ways to get updates for your Easy Digital Downloads extensions. Manually update the plugins by downloading the new version from http://easydigitaldownloads.com and uploading it to your site. When you purchase an extension you will receive an email with your key listed in it. Example below. If you don't have access to that email you can log into https://easydigitaldownloads.com/your-account/ and get them. When you first log in you'll see a screen similar to the one below. Click on Licence Keys in the left nav and you'll see the keys for each of your products. Under Downloads → Settings → Licenses you'll see the fields for entering your keys. Updates work just like plugins installed from WordPress.org. You'll get a notification in WordPress that you have an update, and you simply click the update link. If your extension has a limited number of sites you may run it on then when you hit that maximum you can't license it on any more. If you want to unhook it from a past site and make a license available for a new site you can do that under https://easydigitaldownloads.com/your-account/. Click on Licence Keys tab on the left, and you'll see the details for your products. Note the number of activations, 1/1. That means all have been used. To change that, click on Manage Sites, as shown above. Simply put in a new URL and you'll be able to use your license key on that site. You may renew the key you have without having to buy a new key. We have complete docs on how to renew an expired key. Click the filename and it will prompt you to download it. 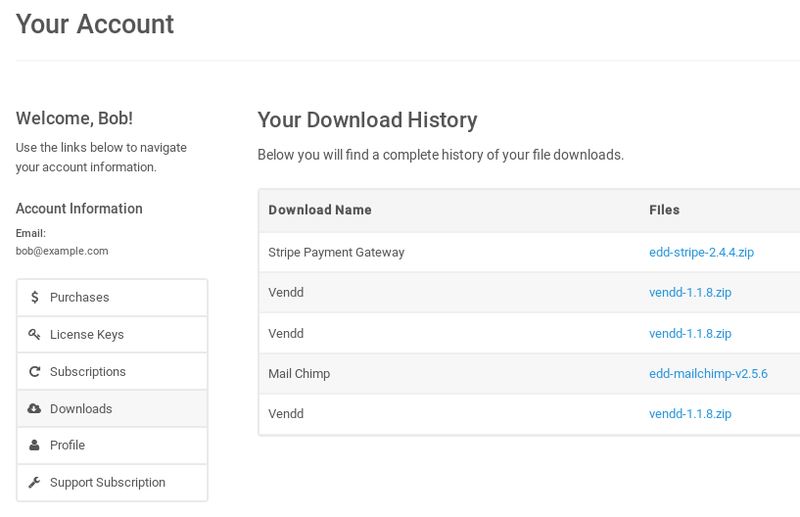 Select the zip file for your Easy Digital Downloads extension. Select "Yes" from the "Upgrade existing plugin?" option.